I have been so excited to wear this plaid shirt ever since it arrived and it’s turned out to be a surprisingly versatile piece. I wore it on Christmas day layered under an ivory sweater with bright red skinnies, dressed it up for church with my leather pencil skirt + heels…and here, paired with classic pieces, it takes on a polished prep-school vibe. I think I may have found a new rival to my chambray shirt! that plaid blouse is fab! i've been living in my flannel plaid shirt too. i'm starting to wish i would have bought more than one of them!!! That is such a great camel coat!! Love the outfit. Happy New Year. I always love the mix of elegant pieces with Jeans. So chic! Yours is perfect and you look fantastic. Ooooh I love this look! So perfect for the season, so chic, and so classic. Awesome combination! Absolutely love how you combined those pumps with boyfriend jeans and that coat. So cute!! I think this is one of my favorite outfits that you've had! I love the mix of everything put together. Such a great classic combination. Love the plaid under the sweater look! Perfect way to keep the holiday colors alive! I love how effortless and polished this look is at the same time! Also crushing on the cap toe heels! Super cute outfit, i love the shirt and love how you made it work with so many different styles. I feel the same about my new J.Crew plaid shirt! Don't want to take it off. Happy New Year to you! Love your new shirt but love all the gold accents as well! Definitely a versatile blouse! You look so cute! Absolutely love the red and plaid together. Such a perfect combination! I've been wearing plaid more than ever this season, too! And like you, I think I've actually worn my plaid blouses more than my chambray blouse. Who'd have thought? That jacket is amazing! Looks just like the J.Crew ones that were so big (and so expensive) last year. They sold out of those plaids!! Bummer. It's such a beauty though and you look fabulous! 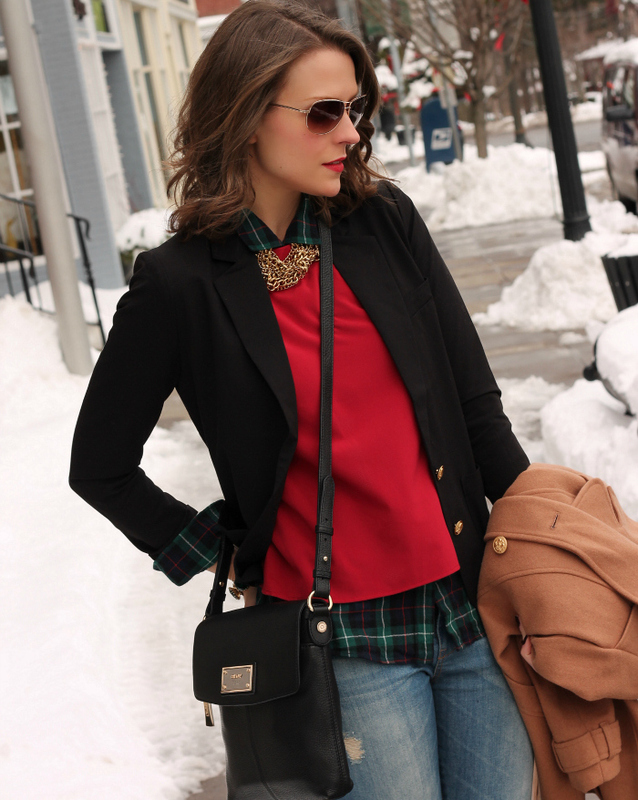 Love the red and plaid together! 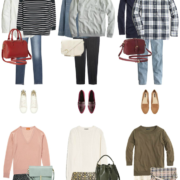 You are so good at layering. Thank you for always providing great outfit inspiration! I love that shirt! I fell in love with it when I saw it in the catalog…you completely nailed the styling. It looks very pulled together but effortless. I like that you paired it with jeans for an even more casual vibe! PS. I have never seen that much snow. We just had our first "snow" and the kids ran out to play in a whole inch of it that was gone by noon!! I have the same shirt and necklace, and I love how you've styled them here! Love your plaid shirt and cap toe pumps! I just got that shirt for Christmas and I've been lusting after those shoes!! So, basically, I want this exact outfit. You look great! Love this look! The plaid..the preppy air…and the shoes finish it off nicely! I love mine too! Great look Kimberly! Love this outfit so much Kimberly! One of my favs for sure….love the mix of high and low with the jeans/plaid and cap toe shoes. Also, loved reading your resolutions. It is fun to learn you sing and play music. 🙂 I am thrilled to have connected with you in 2012 and to have met you at LuckyFabb, and I look forward to more fun outfits in 2013! Happy New Year to you! You do layering soooo well! LOVE! I love your style! Fabulous! clearly it layers so well and was an excellent closet addition! I truly love your style! So chic and affordable. Great combination! I love every layer of this outfit – so good! I ordered a great plaid button down and found it on my chair this a.m. at work. I'm even more excited to wear it, after seeing this post. This shirt just screams versatility, I love it! This is such a great layered look. Hi Kimberly! I love the plaid shirt under the sweater. It's such a cozy but chic look. As we have been experiencing loads of sub-zero temperature days, I love the fact that you are showcasing such great cold-weather outfits. This is such a classic and chic look! 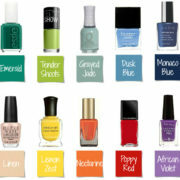 Love the colors too – perfect for post holiday… you look gorgeous! I always like plaid in the winter. It is so nice for layering! Oh my gosh, your outfit is stunning! I don;t know what I love most! I really love your plaid shirt and the layering, and I love your coat, and shoes and jeans and hair! LOVE this outfit! wow love the way you layered this outfit. You look great. If you get a sec, checkout my latest post… new year and sequins. Happy New Year pretty lady! I am loving this whole look – lots of fresh inspiration for a new year! I'm with you! i wore that button down at least 3 times over my Christmas vacation. I don't want to put it away for the season quite yet! One of my favorite outfit of yours. I can't believe that this jacket is from F21! I love all the gold details in this outfit! From the jewelry, to the buttons, to the cap-toe shoes, it makes it looks like such an expensive look! Great outfit! I love the plaid with the red sweater and blazer. It has a hint of Christmas but not too much with the boyfriend jeans! This look is so so beautiful! You look straight out of a magazine! The pop of red is fab! This plaid blouse is stunning! I can see how it is so versatile with the amazing colors in it! Gorgeous outfit- LOVING the bag! I looove this outfit! The gorgeous camel coat, the entire color combo, the perfect pop of plaid, and all in such an effortlessly chic outfit! GORGEOUS! One of my faves from you!